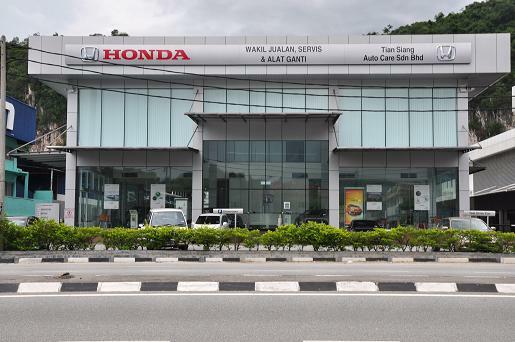 Tian Siang Auto Care Sdn Bhd is the authorized dealer for Honda cars- Distributed by Honda Malaysia since 2008. The Showroom and service Centre are located at the jalan Kuala Kangsar road Ipoh Perak. It is a 3S centre offering full facilities for Sales, Service and Spare parts.